I was just trying out Thinkfree office suit online and it requires me install Java update. I downloaded the update file but it was in .bin format and I had no idea what to do with it. As usual, there was not any instruction on how to install stuff in Ubuntu. After screwing around a bit, I found the solution on Youtube. To execute .bin files, you will have to use terminal. Navigate to where you save your file. Make sure you save your file where you want to install the application. Replace the name of the .bin file into “yourfile.” Make sure you type everything in correctly, including the file name, the period and lash before the file. Enter your password and the file will be executed. Note: I accidentally install my Java folder onto the Desktop. However, since Java does not require me to put it anywhere specific I can leave it on the desktop. I chose to move it to the lib folder though. 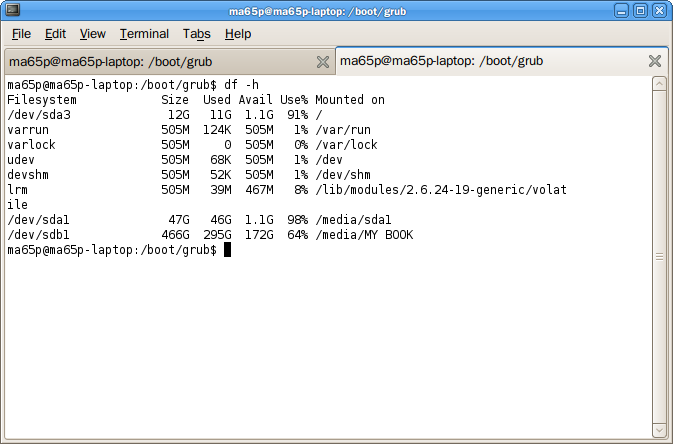 Or you can open Nautilus as root to have root permission to move the folder with your mouse.